Ycee comes with this new Jam alert. This Tinny Entertainment Artiste. After his panda cover and killer verse on Ole by Lax Ft. Dremo of Hkn. Here is something new. You would love this. produced by his elder brother, Karma Alejo who can be credited with some of Ycee’s production work on past music projects. 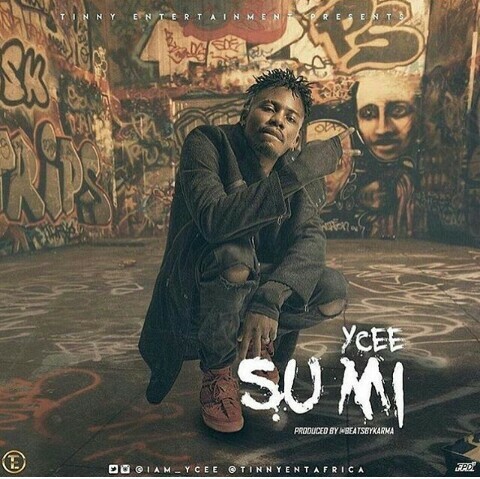 The song shows off YCEE’s rap prowess, addictive flow, lyrical ability and stakes his rights ‘SU MI” is backed up by amazing visuals which show off an amazing treatment to the song. The video, shot in London by Director Q, is the ultimate visual representation, with urban settings, graffiti and dope dance moves.